Julia Prokopec is a hydrologist with the U.S. Geological Survey, Upper Midwest Water Science Center, in Mounds View, Minnesota. She began as a student in 2011 at the Michigan Water Science Center in Lansing, Michigan as a student hydrologic technician. She received her A.S. in Watershed Science from Vermilion Community College in 2012, and her B.S. 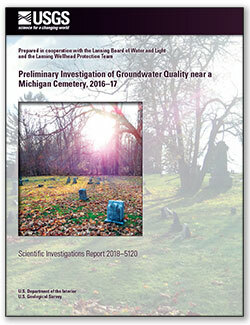 in Environmental Studies with an emphasis in Geohydrology from Bemidji State in 2014. Julia has worked on projects studying groundwater and surface water interaction, persistence of pesticides in groundwater and surface water, and water quality monitoring. Her focus is hydraulic modeling and flood-inundation mapping where she has lead studies to be used by communities for hazard mitigation. 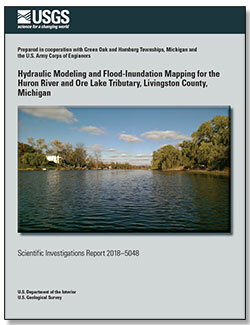 Prokopec, J.G., 2018, Hydraulic modeling and flood-inundation mapping for the Huron River and Ore Lake Tributary, Livingston County, Michigan: U.S. Geological Survey Scientific Investigations Report 2018–5048, 13 p., https://doi.org/10.3133/sir20185048. 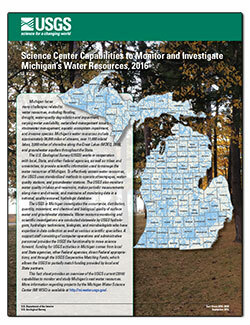 Giesen, Julia A.; Givens, Carrie E.
Giesen, J.A., and Givens, C.E., 2016, Science center capabilities to monitor and investigate Michigan's Water Resources, 2016: U.S. Geological Survey Fact Sheet 2016-3064, 6 p., http://dx.doi.org/10.3133/fs20163064.